We are a big fan of getting the basics precisely dialed in for small business search engine optimization (SEO). 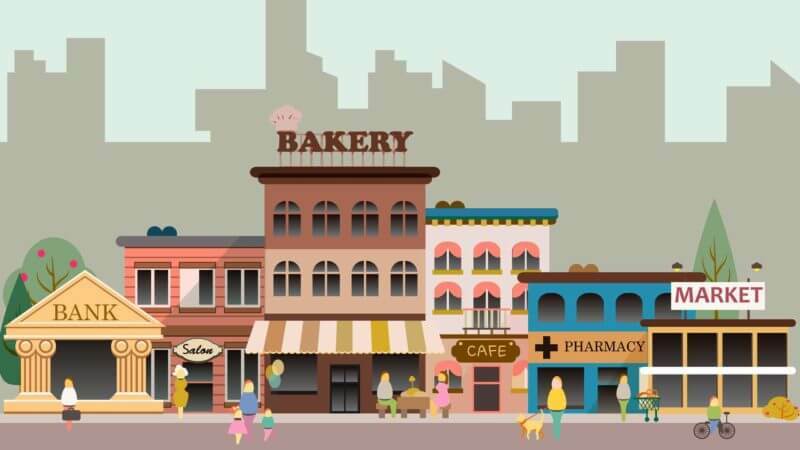 Ensuring you lay a solid SEO foundation will typically deliver around 80 percent of the results, for only 20 percent of the effort, for small local businesses. A crucial aspect of getting SEO on point for your small business is a basic SEO audit. This analysis provides you with a tool, much like an SEO SWOT analysis that highlights the areas that you need to focus on. And, while there are many tools out there that provide an overview of your SEO, learning how to perform a basic SEO audit using free tools like Screaming Frog is a skill that will serve you well and ensure the precious time you devote to SEO is well-spent. Having the skills to perform a basic SEO audit really empowers you as a business owner with regard to your SEO. It’s tempting to think that web designers and developers all understand SEO, but in most cases, they are simply not experts, and nobody knows your business better than you do. By following the steps outlined in this post, you will be able to assess your SEO, identify opportunities and troubleshoot issues as they arise. Note: Screaming Frog is free for up to 500 pages or is licensed yearly. Even the paid version is an affordable tool that will help you achieve your goals, so register it if you feel it adds value (Hint: It will). The first step here is to crawl your site, so start the Screaming Frog and software and crawl your site. This will provide you with the information we will check as we step through the audit. A basic SEO audit for a small local business should consider the following areas. I won’t go into painful detail for each, as hopefully, each step is relatively self-explanatory (and we could fill a book). But everything here is easily Googled if you are unsure. Google Analytics is installed correctly and on every page. Important actions on the site are set up as conversions. Analytics is correctly configured for HTTP / HTTPS. These are all basic checks but ensure that the analytics data is sound so that we are confident in using it to identify areas for improvement. As with Analytics, we want to ensure the site is set up as it should be in the Google Search Console so that we are seeing the correct diagnostic data within Search Console. Search Console is set up with the correct protocol and URL. Coverage tab shows about the number of indexed pages you would expect. Sitemaps tab has your current sitemap listed (if not, submit it). Mobile Usability tab does not show mobile errors. There is nothing unexpected or odd on the Links tab. The Search Console data provides diagnostic feedback from Google, so any issues highlighted here should be investigated and remedied. 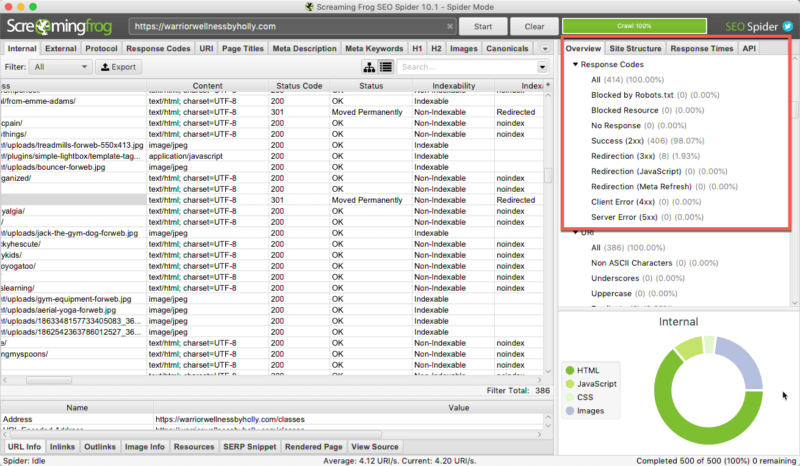 Open up your Screaming Frog crawl for your site and jump to the “Response Codes” tab. This will list all the files and response codes, but more useful is the “Overview” tab to the right-hand side of the screen. In most cases, we are looking for a lot of success codes (2xx) and not much else. If you do see a lot of redirects, 404s or other issues, you can click on these in the right column and investigate (and resolve!). Next job is to look at our URI tab and review the URIs (aka URLs) of the pages on the site. In the “overview” tab here, we can see the elements we want to look out for, including non-ASCII characters and uppercase characters. Ideally, what we want here is a set of lower-case URLs that accurately describe the content on the site. The structure of the site here provides a clear signal relating to the content of each page. Ensure the structure of your works like a filing cabinet with everything filed exactly where it should be to help indicate the relationship of the pages to one another. To review page titles, we will want to jump into Screaming Frog and look at the (surprise, surprise) “Page Titles” tab. Here we can review all of our page titles to ensure that they are well-optimized. Remember that we want our page titles somewhere in the region of 35 to 65 characters to best fit the space available. A tip here is to export your page titles from Screaming Frog and then just work through the spreadsheet. Then manually make any changes necessary in your CMS. 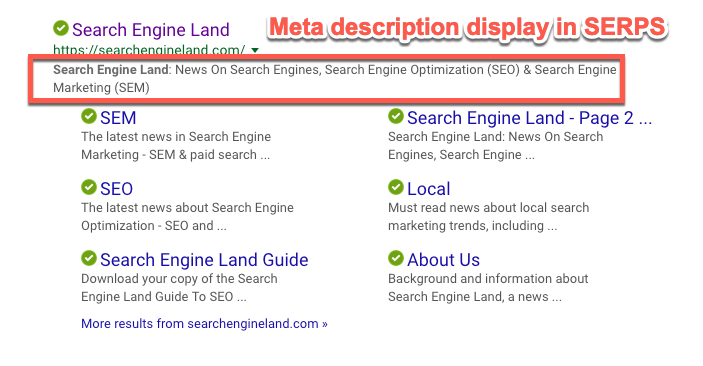 Search engines use the text from your meta description when listing your site, so you should consider this as an opportunity to add some sales copy to entice users to click. Reviewing the meta description tab, you can export all meta descriptions and improve them as needed to increase click-through rates. 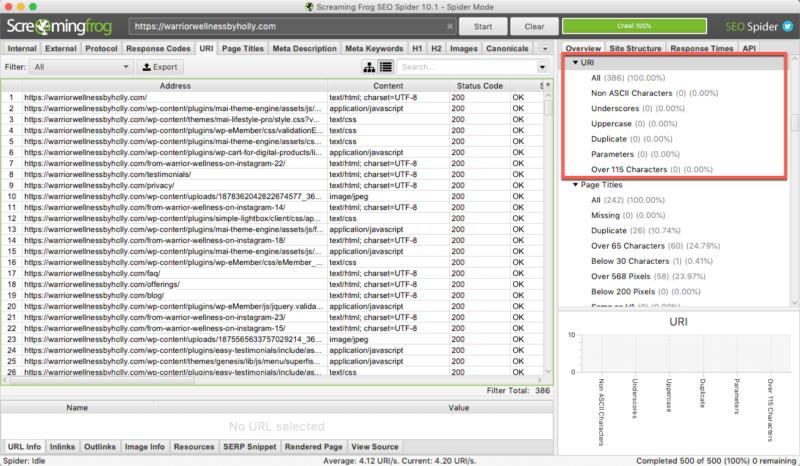 You can also review your H1 and H2 tags in Screaming Frog and ensure these are sensibly optimized. Ideally, these should be aligned with your page names, page titles and meta descriptions to send a clear message regarding the topic and focus of each page. These tools are all free to use and together provide a solid overview of where improvements can be made. Error pages should return 404 status codes. Error pages should show a useful 404 error page. All URLs should work with either HTTP or HTTPS, but not both. All URLs should work with either www or without www, but not both. Internal links should not return 4xx errors. Page copy should be shown when fetched and rendered (in Google Search Console). The site should not be duplicated due to any other domains or subdomains. The site should be making use of HTTPS. The Robots.txt should not be blocking content we want to be crawled and indexed. There should be XML sitemaps, and they accurately reflect all valid URLs on the site. You can conduct all of these tests in a browser or Screaming Frog, so no special tools are needed! SEO has many moving parts. Yet, we strongly believe that most small businesses can do a lot to help improve their results by ensuring these basic requirements are covered. Whether a small business is performing an audit, engaging in more detailed SEO strategies or exploring ways to build links, there is much you can do to improve your rankings without an agency. By following the 10 steps laid down here, you will find areas that you can improve. And by revisiting this audit as your site grows, you will continue to find potential improvements that help you stay competitive in the local results.